After students start showing understanding, I will have them race to form words with teammates instead of just one note. I love when we can play this outside! It’s a great game to cure the indoor blues. This year, I was hoping to try a different method or two to try out! 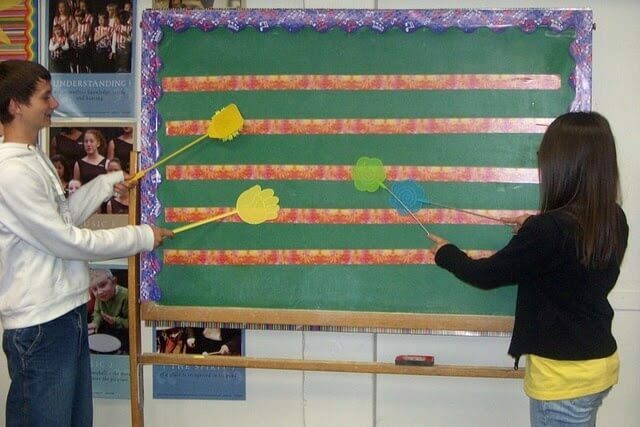 So here are 5 great ideas I’ve seen recently for working on Treble Clef note name practice. 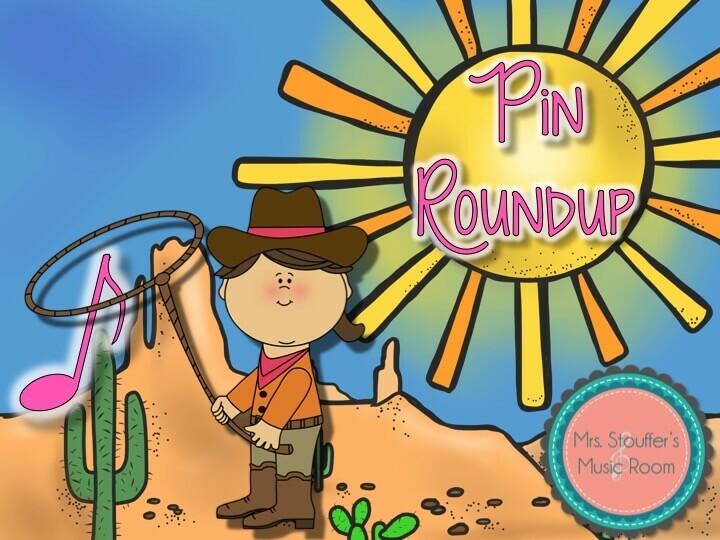 To do that, I’m introducing my Monthly Pin Round Up! Each month, I’ll pick a different topic and share 5 awesome pins on the topic. This one is a great idea! Staff twister sounds like a great idea! This one is a bit more of a general game that could be used for ANY topic, but I love the idea of putting cards with the notes on the staff down. I think it would go pretty quickly so a real game could be played. This classic game is a really fun way to practice learning notes. I’ve played this game before and used it this year as well. I’m always a fan! 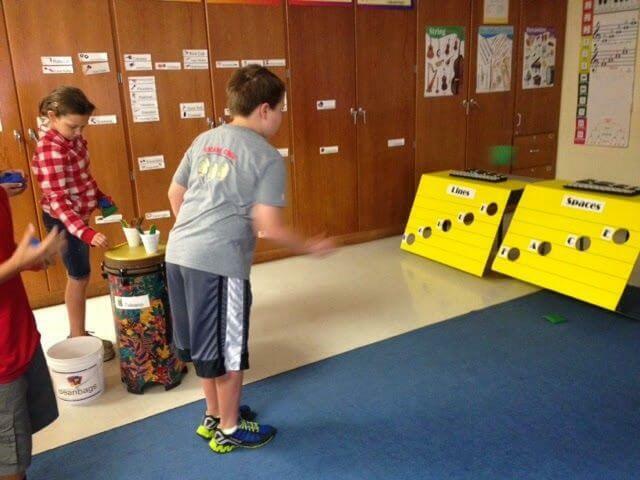 I like this little center game, which could also be used as a full class activity. I hope you enjoyed the Pin Roundup!! 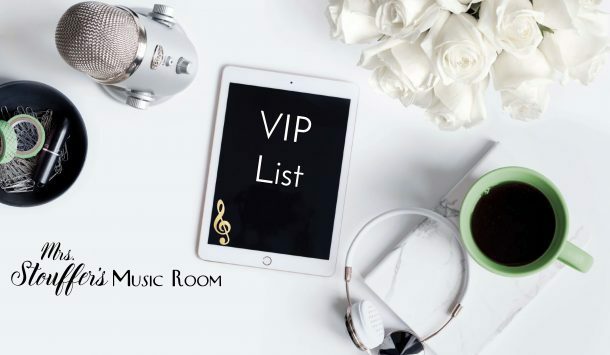 Have you seen any other great idea for practicing note names? Definitely leave a comment if you have a new one!